The Midi Collection offers a stunning selection of exquisitely crafted contemporary stacking rings by Julian Stephens. Each Midi ring can be worn separately or teamed together to create a bold and colourful statement cluster of gemstone rings. 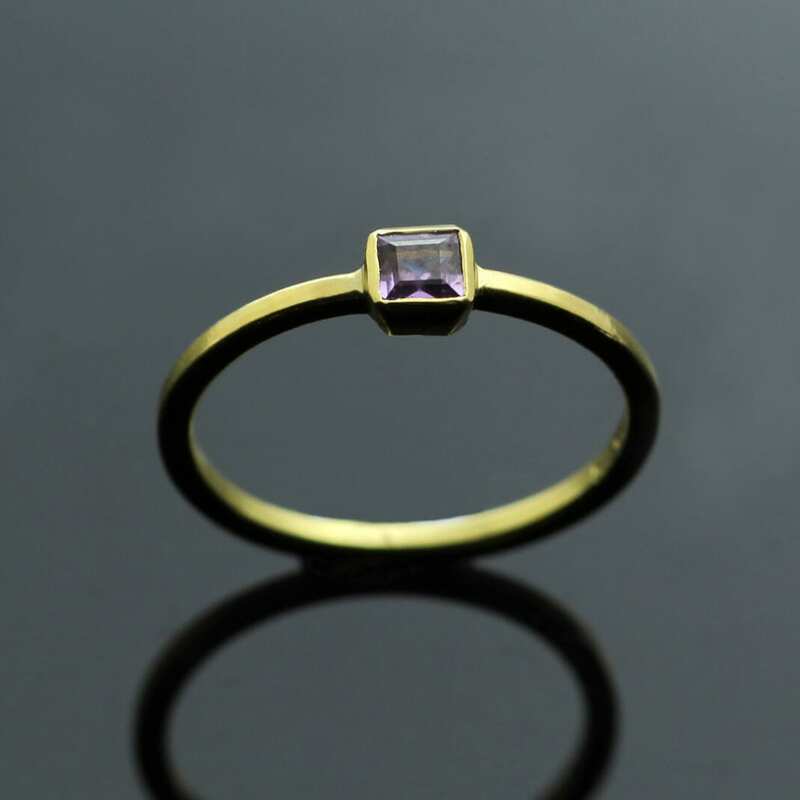 This design features a chic Square cut Sapphire gemstone in an opulent purple hue, this rich pop of colour is enhanced by the solid 18ct Yellow Gold collet setting mounted onto a solid white gold flat ring shank. Handcrafted by our master Goldsmith Julian Stephens this beautiful Midi ring bears Julian’s exclusive makers mark and is fully Hallmarked.